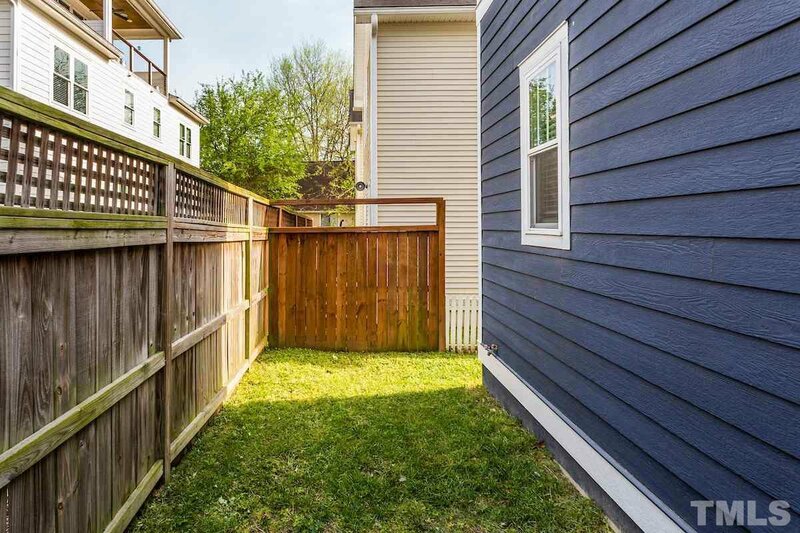 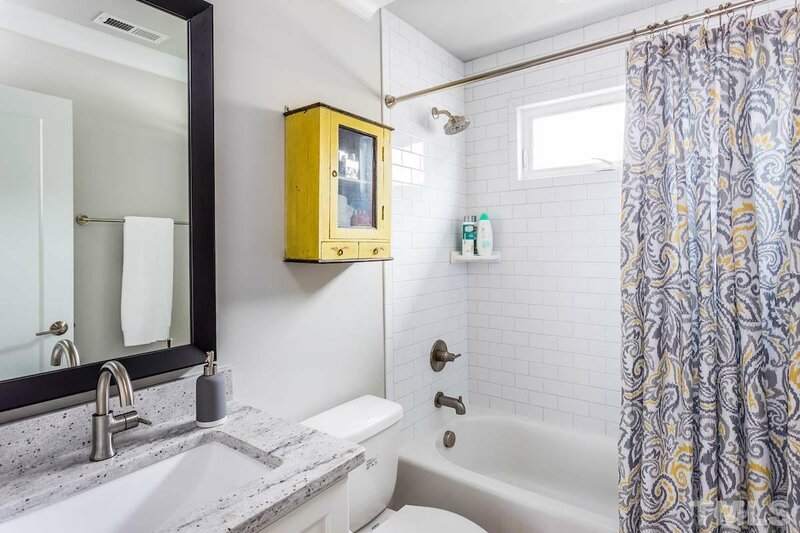 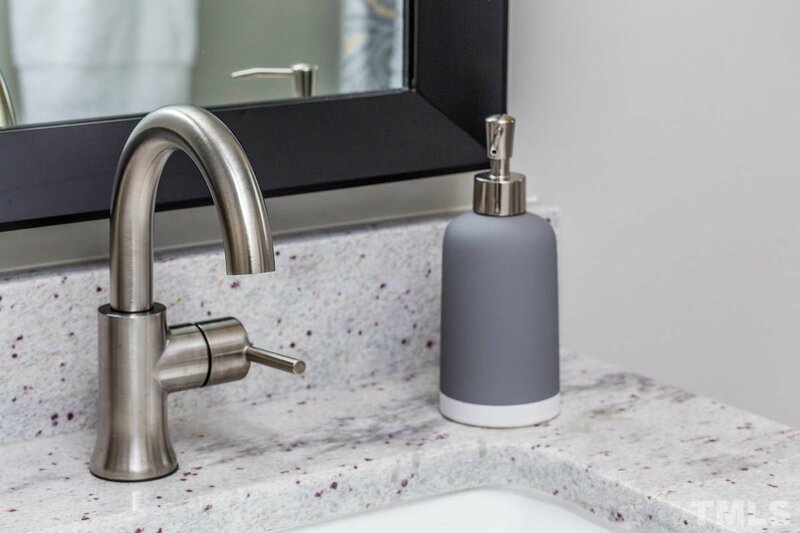 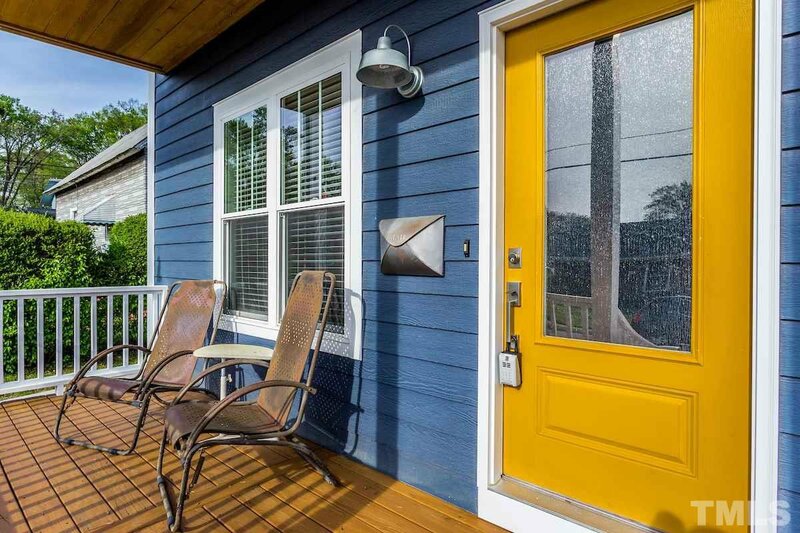 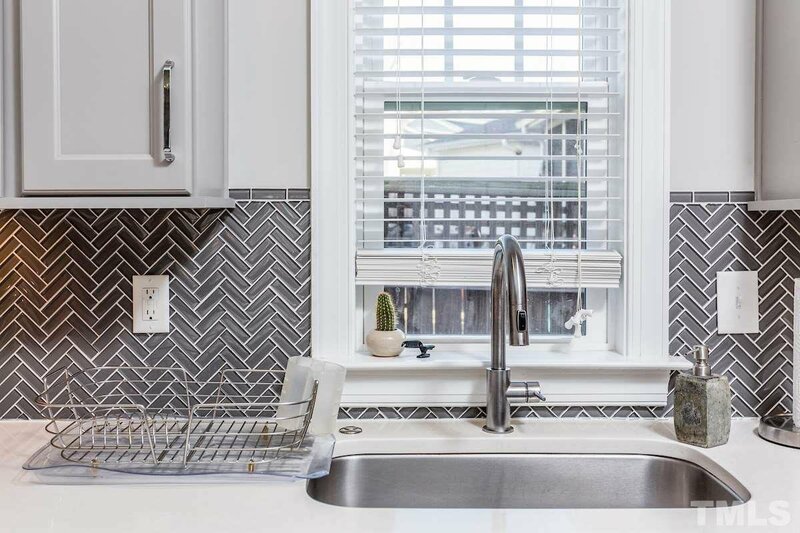 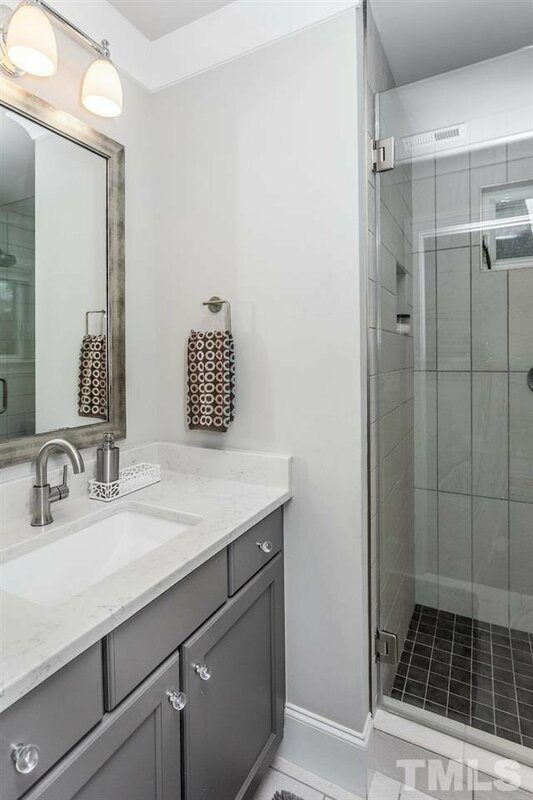 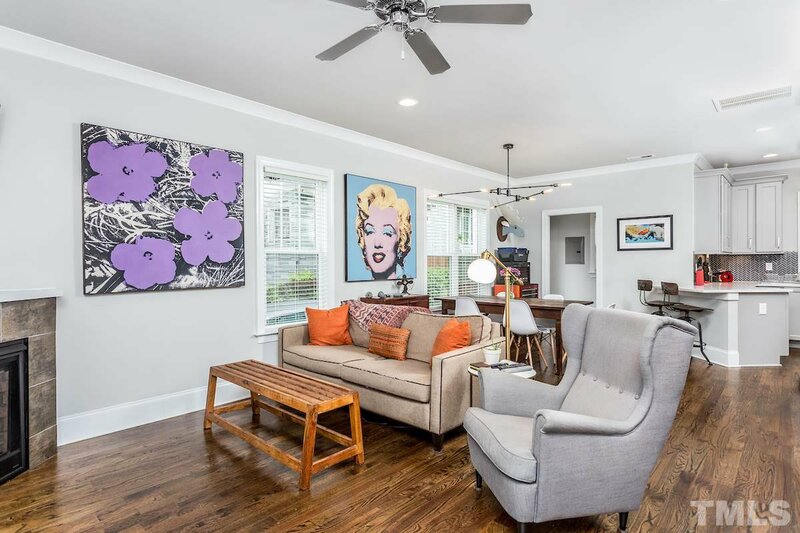 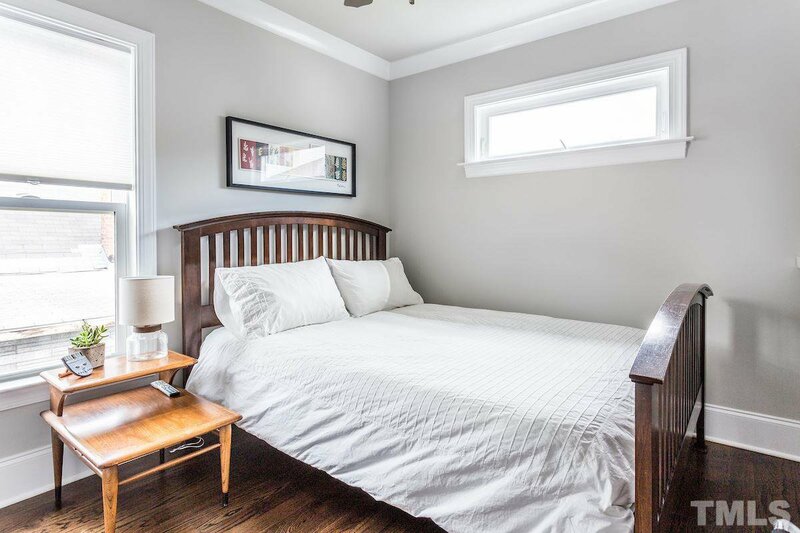 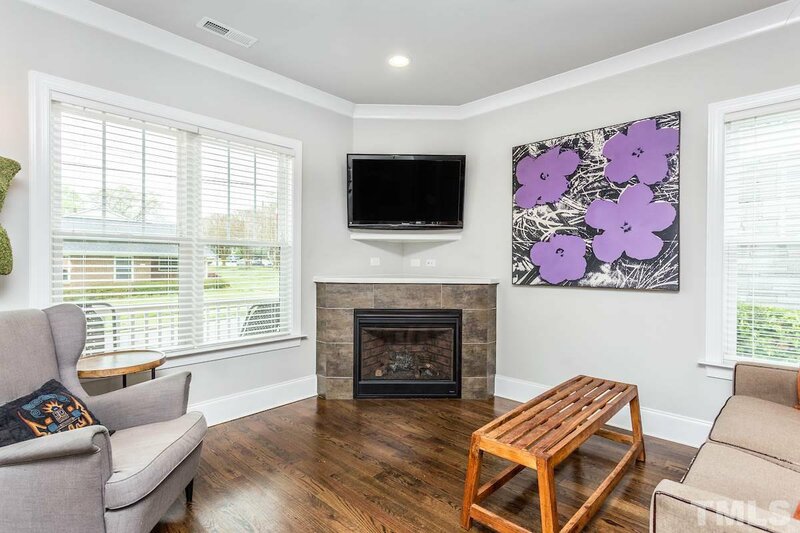 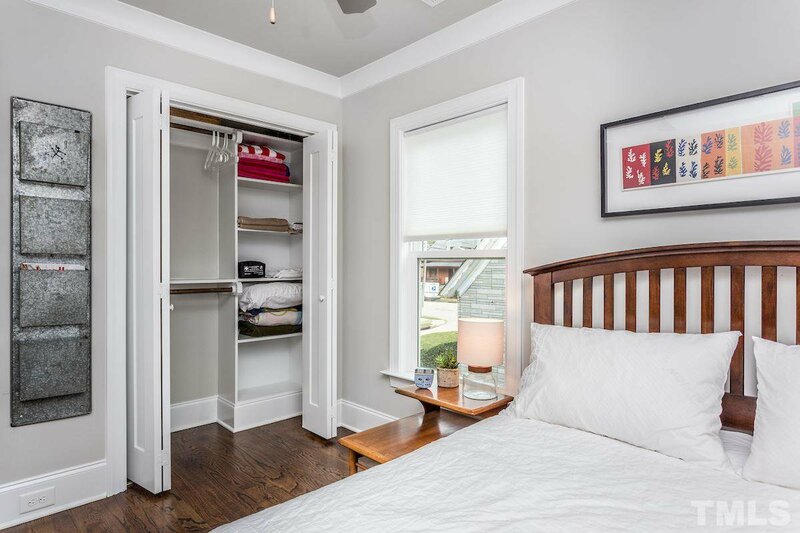 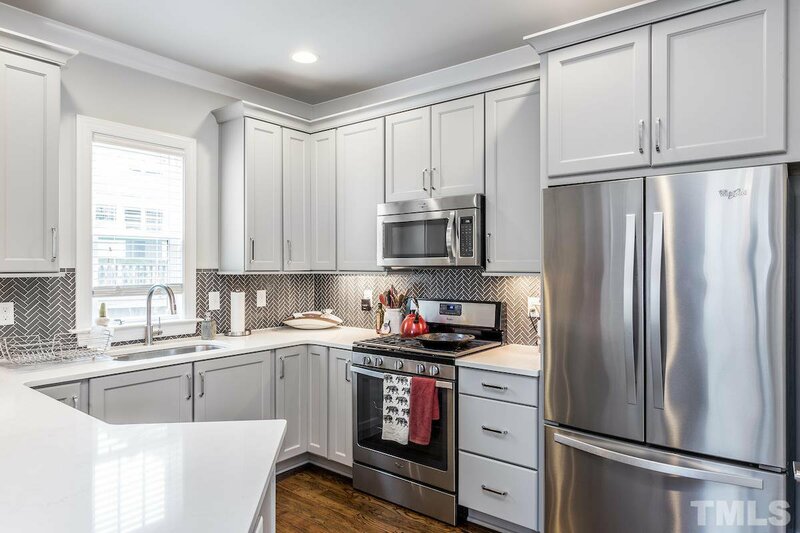 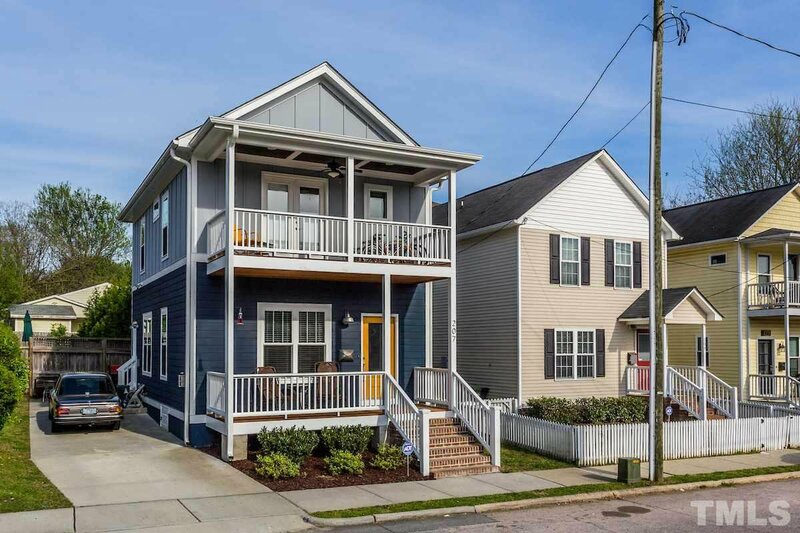 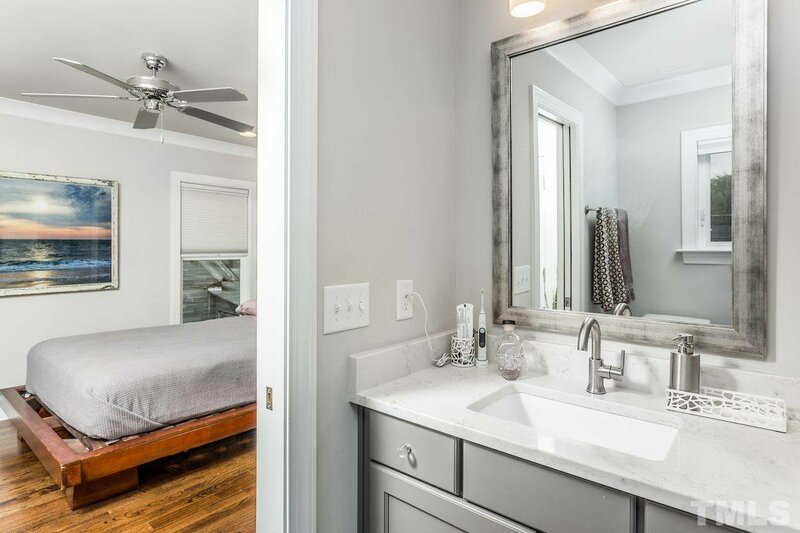 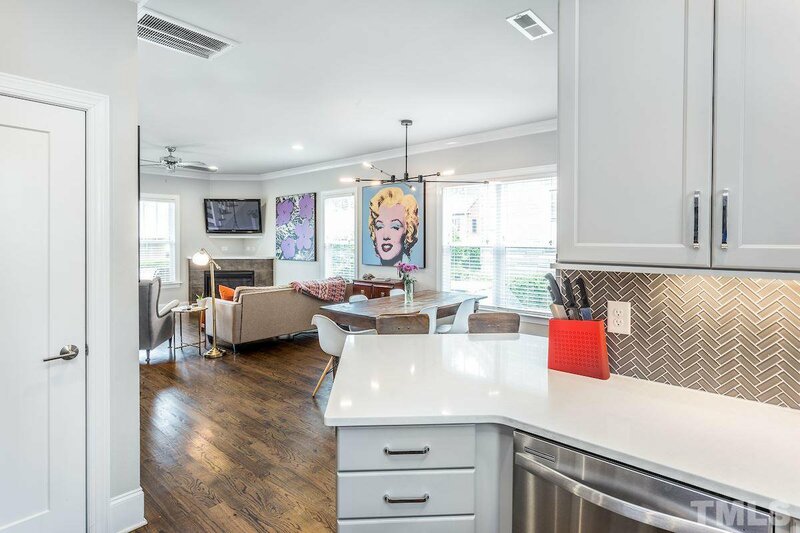 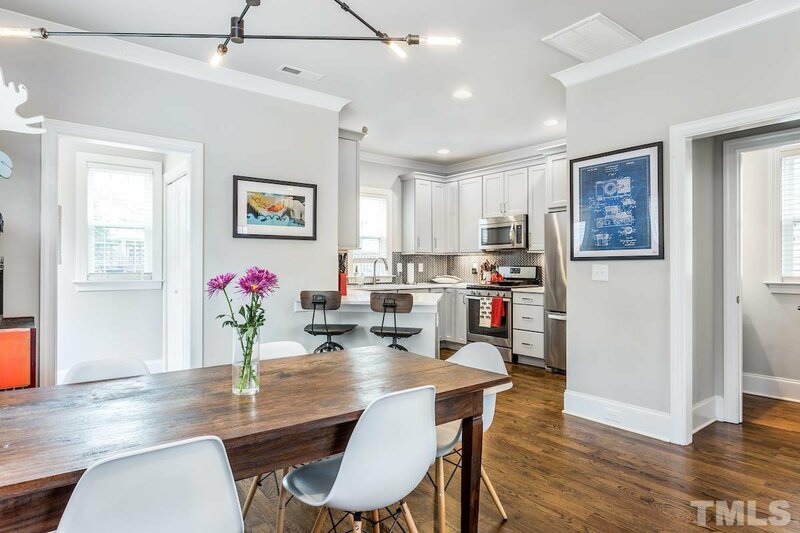 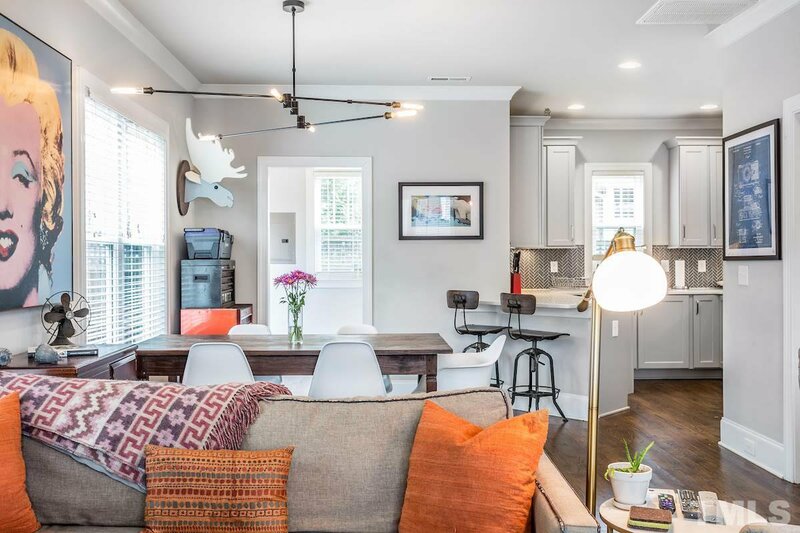 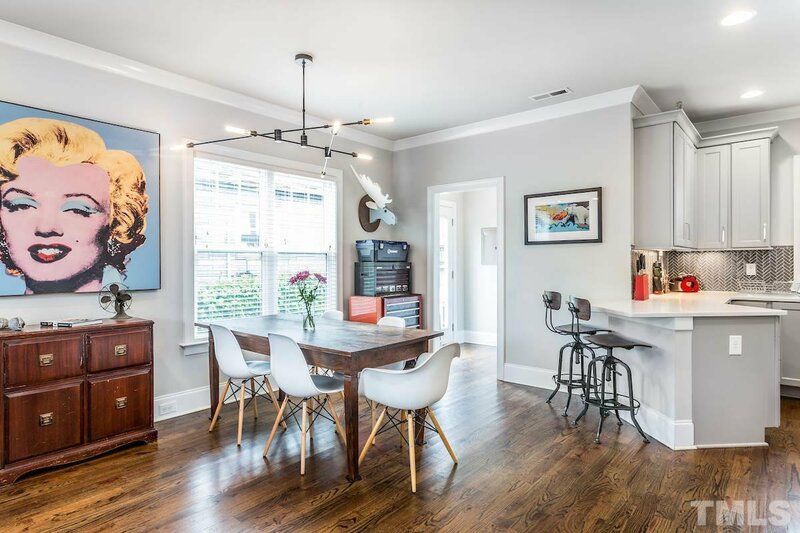 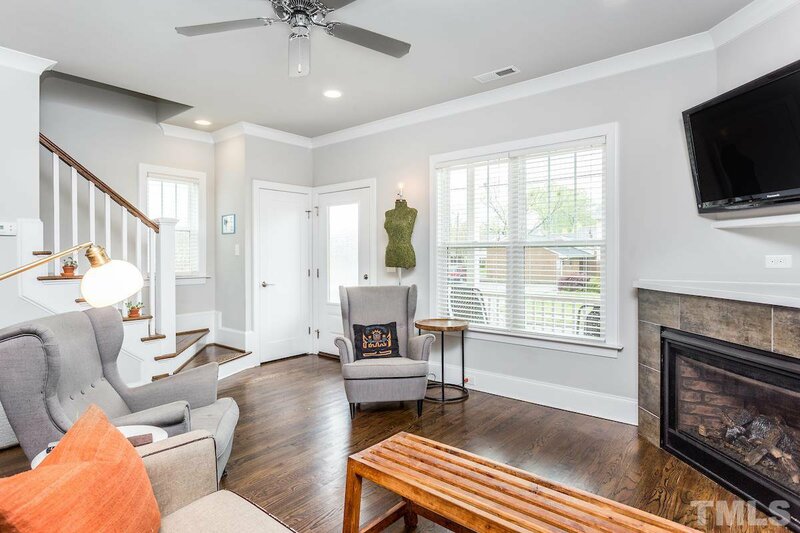 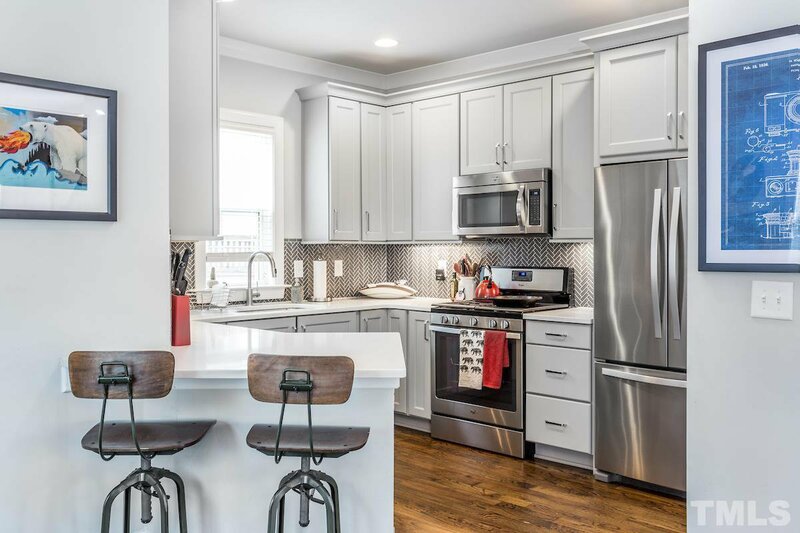 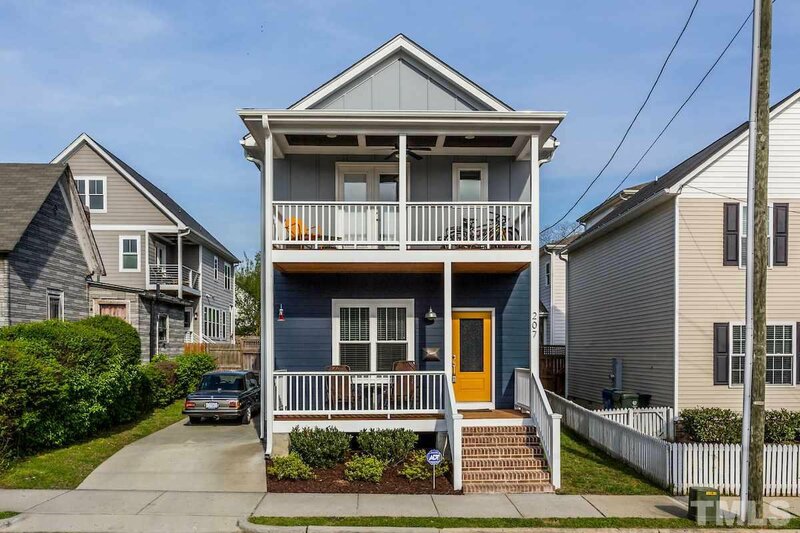 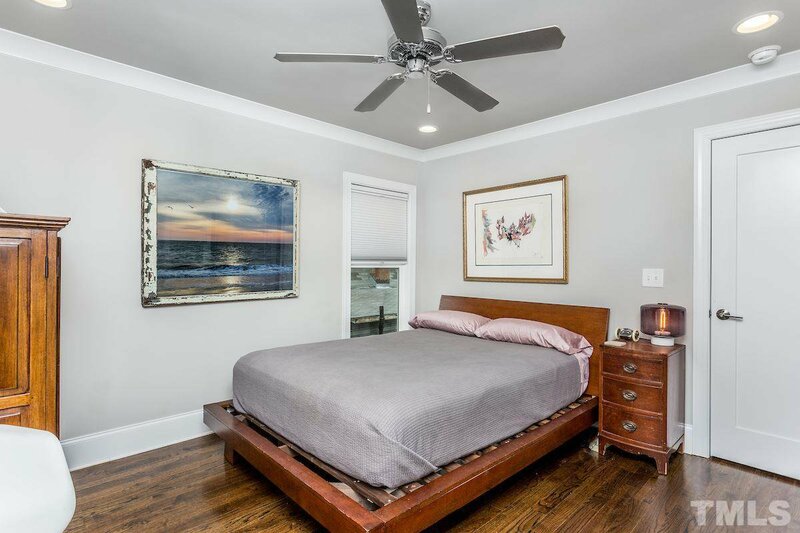 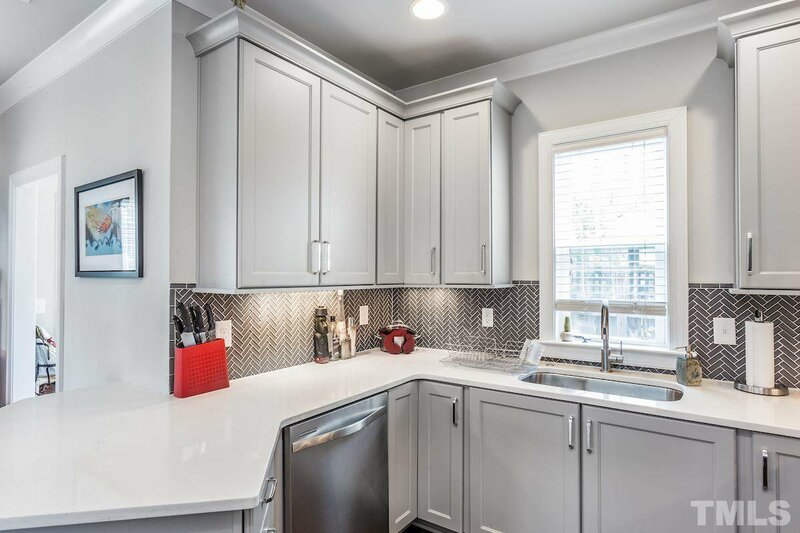 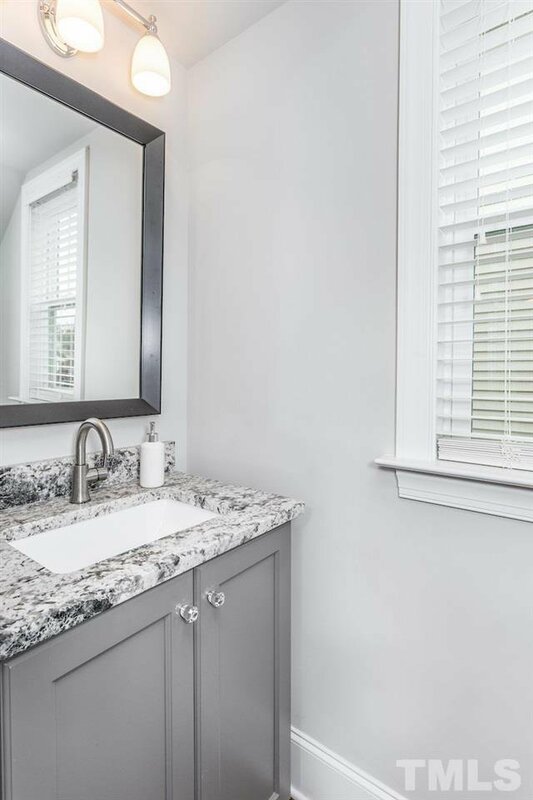 Located 5 blocks east of Moore Square, this 2016 built home stays in keeping with the charm of surrounding homes yet offers modern style, open floor plan & newer construction standards to satisfy the needs of today's buyer. 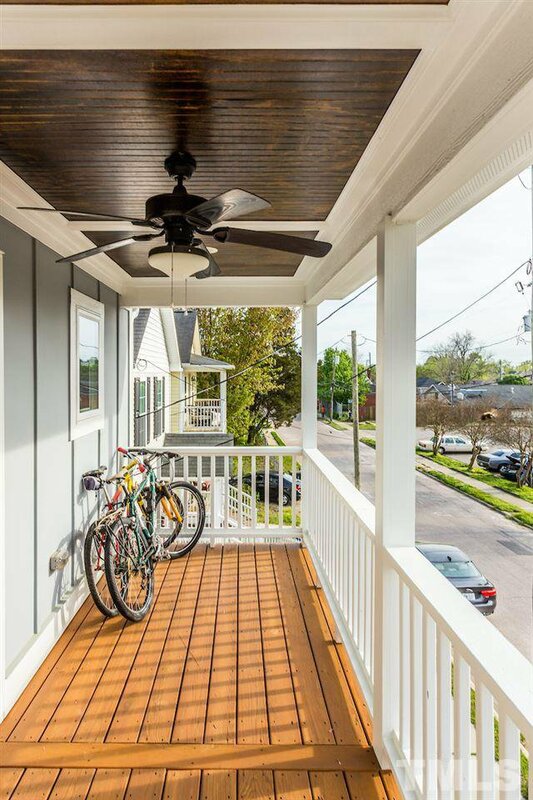 Fiber cement exterior; double porches with views of the DTR skyline. 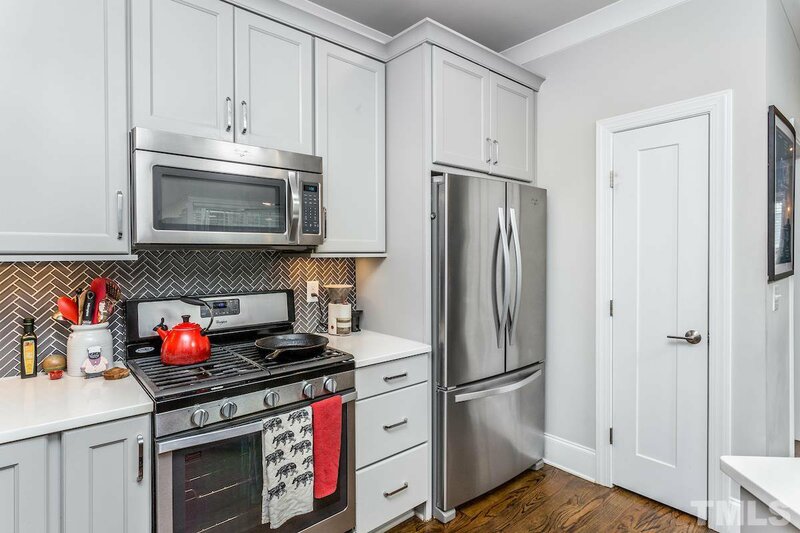 Open main floor w/9' ceilings, windows=great sunlight, site finished hardwds, upgraded moldings, gas FP & gorgeous kitchen. 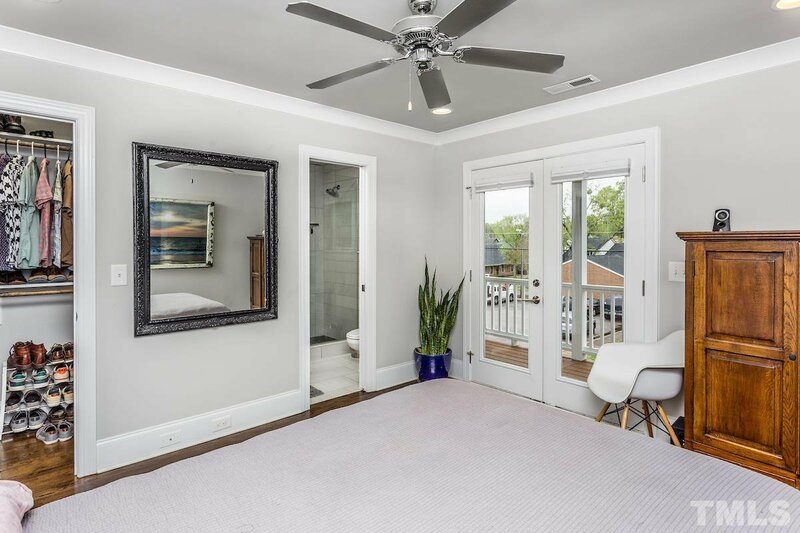 Master bedroom boasts a WIC, en suite bath & private porch. 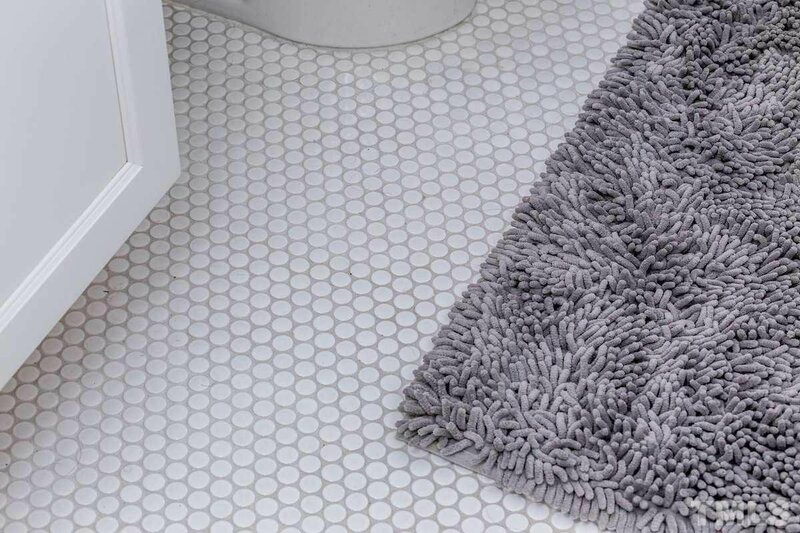 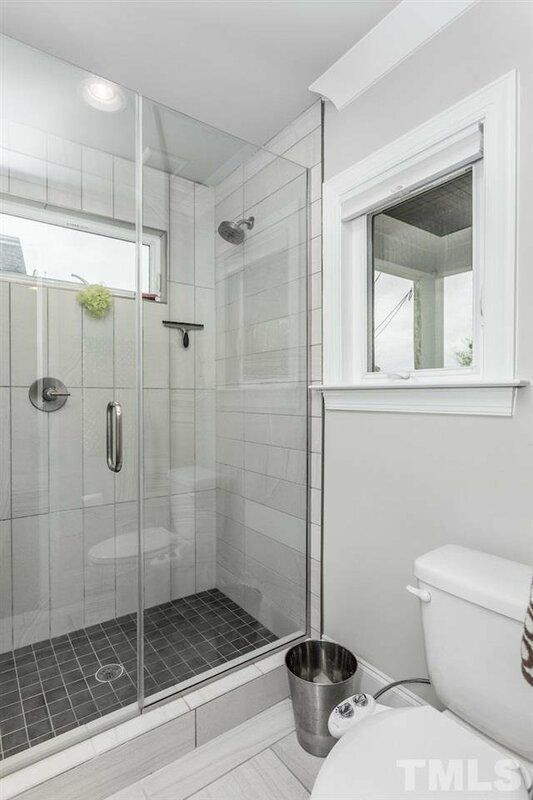 Baths tiled floors/surrounds. 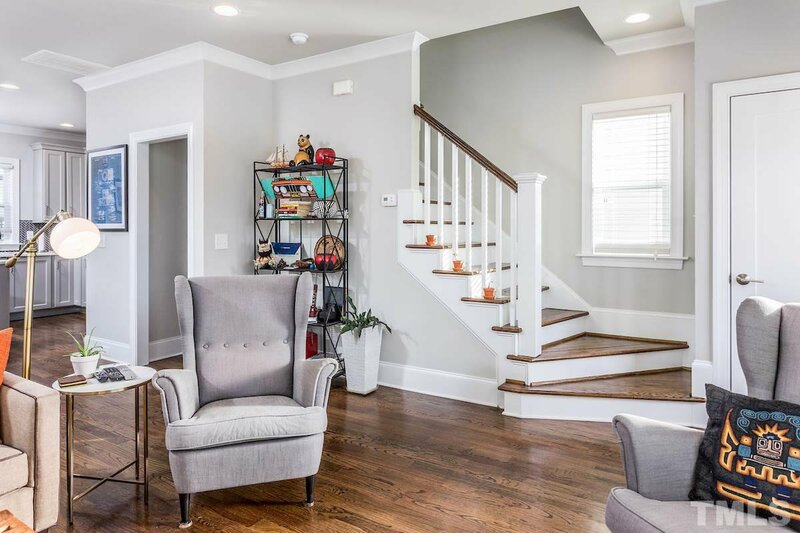 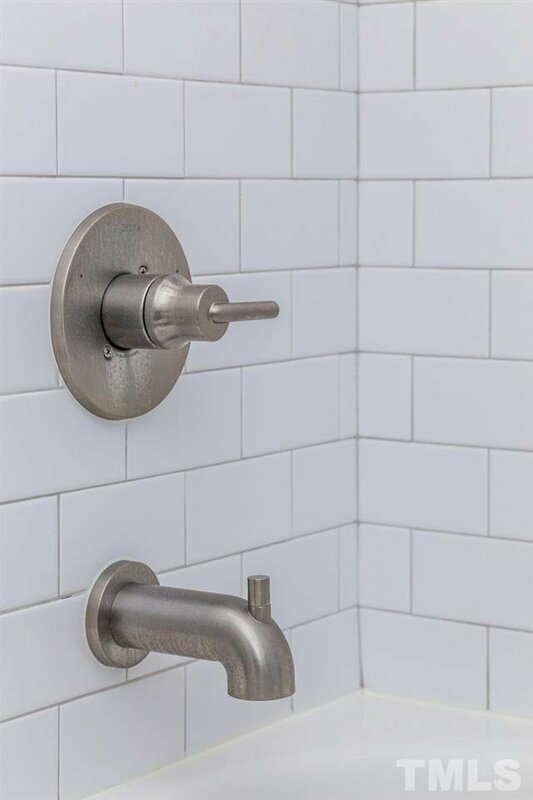 Listing courtesy of Allen Tate/Raleigh-Glenwood.